Phil Winnington International Business DirectorThe Hire Industry Trusted Suppliers accreditation from The Hire Association of Europe and Event Hire Association (HAE EHA) is a hallmark of quality in training, safety, environmental issues, research and development, production processes and data security. The supply chain scheme links in supportively with the SafeHire Certification for the tool, plant and equipment sector and is designed to promote excellence in the hire industry. 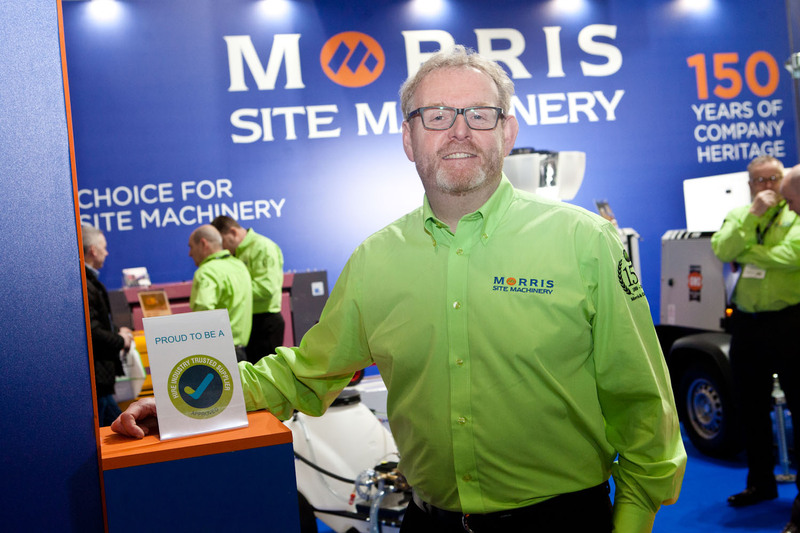 Phil Winnington, International Business Director at Morris Site Machinery, said: “Our business is built on delivering excellence in products and service. We’re proud to achieve this recognition as an excellent hire industry supplier after passing the online assessment and due diligence process. Morris Site Machinery supplies a range of top-class construction site machinery and site equipment including SMC mobile lighting towers, ArcGen welders, Denyo generators and Hilta pressure washers and pumps. Its products serve sectors from equipment hire to construction and mining, rail, events, film and TV. Employing more than 60 people, it is part of fifth-generation, family business group Morris & Company, which celebrates its 150th anniversary in 2019.